Man.. I’m excited about this one, for a couple of reasons. Reasons #1 – Darkglass Electronics is a company I really like. They make amazing products, and their rep in the industry is high – and deservingly so! #2 It’s a bass pedal, I like the opportunity to get the bass players out there excited! I said a ‘bass pedal’ and that is definitely not for bass only. It sounds amazing for bass, but sound awesome on guitar as well! 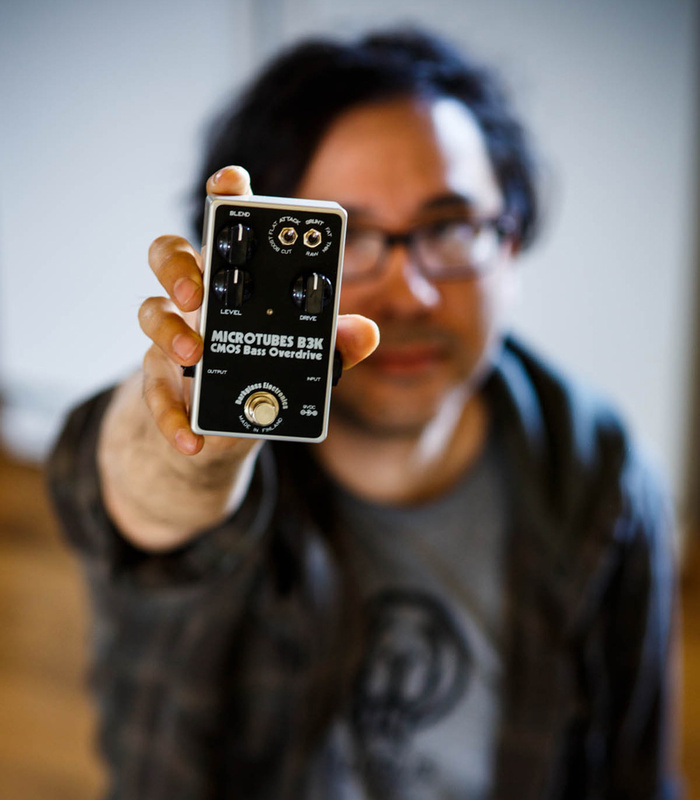 Darkglass Electronics Microtubes B3K Bass Overdrive is something bass players are loving. When dealing with overdrive in the world of bass, you have to focus on maintaining that low end. The absolute key to this great sounding overdrive is the ability to blend the dirt with your dry signal. Want a little hair? No problem. Want complete growl.. no problem. The build quality is fantastic. Darkglass Electronics is based out of Finland. I love behind-the-scene type videos. Check out this video of them showing a product being developed from start to finish…. So.. let’s talk about a give away! I’m giving away this Darkglass Electronics Microtubes B3K Bass Overdrive to a lucky Effects Bay reader.. This pedal retails in the $230 range.. and it could be yours! I’m going to pick a random entry on May 11th. I will email that random entry asking for the answer to the question listed below. You will have 24 hours to respond with the answer. If the 24 hours passes and I don’t hear from that finalist, I will select a new random entry and repeat the process until I receive confirmation from the winner. This is open to everyone. Yes, that means international (International winner must pay shipping – sorry)! Also, one entry per person. Please read that last sentence again… “one” “entry” “per” “person”. So I wanted to sweeten the deal even further – Now, if you subscribe to the Rattlesnake Cable Company’s Mailing List AND you’re selected as the winner, you’ll also get a single 15′ Standard Cable with Straight Plugs (you select weave color)! 15′ Standards normally retails for $60. It’s a no-brainer to subscribe! Please remember to share this post, retweet it, etc. Let others know so we can continue to have successful and fun give aways in the future! We like free gear right? ?